There are always particular officials that athletes know well and know well for a variety of reasons. For instance athletes competing in handicap events in the 50’s and 60’s were familiar with handicappers McNeillie and Nangle for very obvious reasons. Fred Evans however was known to several generations of athlete as a master starter, easily recognised and much respected. Barry Craighead speaks very highly of him and his influence on his own development as he followed in Fred’s footsteps. First the facts. Very highly thought of, he was awarded an MBE “for services to athletics”, the only Scottish starter ever to gain such an honour. The competition situation was very different when he was in action at tracks all over the country. With no all-weather tracks and surfaces of grass or cinders, the scene was different scene from today if only because the starter was in complete control of events. He, or whoever the official starter on the day was, decided if there had been a false start and took the responsibility for the decision whereas in the current situation the guns are wired to computers which tell us if there has been a false start. And Fred was always ready to stand by his decision. It has been said that the younger athletes were a bit frightened of him, but he was, by universal opinion, a very nice man, a man with a nice sense of humour. Neil Donachie remembers a story about taking his guns through security at the airport on the way to an Empire Games causing some problems, even then before the whole terrorism scare. Despite a reputation for a strict, no nonsense approach to the job, and an air of authority that no one questioned, he was scrupulously fair. 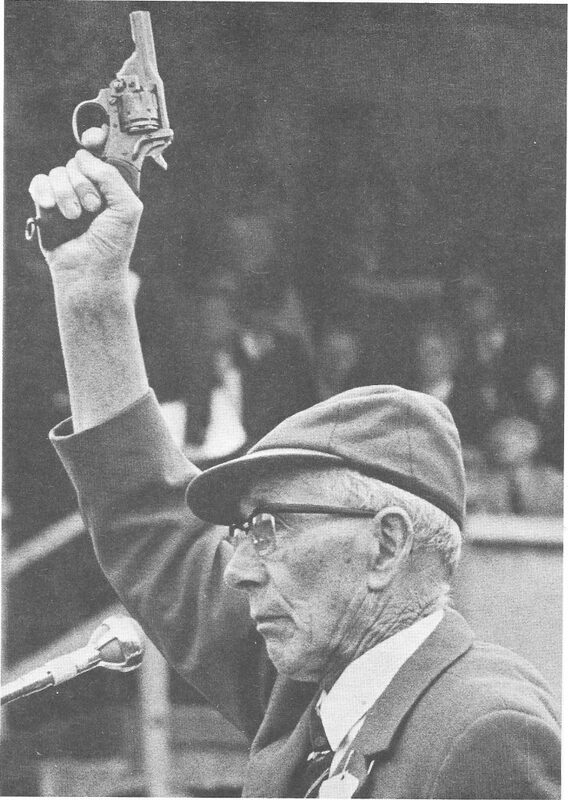 Barry Craighead, who took up starting under Fred’s guidance in 1959, reports that if the starter or official did not do everything they could for the benefit of the athletes under their control, he told them about it in no uncertain manner. A testament to how highly thought of he was, is the fact that he appeared at the same meetings, many in the west of Scotland, year in and year out. Although in great demand by championship organisers as we have noted, he officiated at highland gatherings, local sports and open meetings all over the country, including at the New Year Sprint where he officiated for many years. Starters are not like most other officials – they need to pay from their own pocket for the firearms license, for the safe in which to store the gun and ammunition and for the ammunition. Here again Fred led the way in demanding, and getting, £2 per meeting towards these expenses as well as travelling expenses to the meeting with the rest of the officials. The special treatment for starters continues to this day. 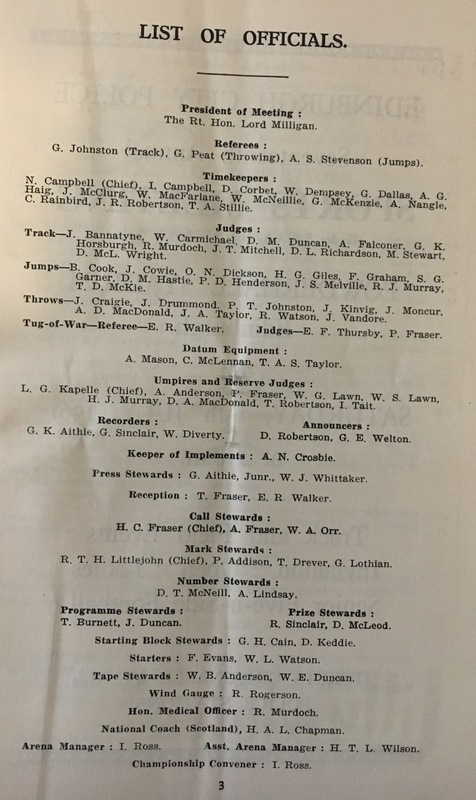 The illustration below is from the programme of the 1961 SAAA Championships and he is there among many legendary names such as Willie Carmichael, DM Duncan, Dunky Wright, Ian Ross, Gordon Cain, Tom Drever, David Keddie and Fred Graham.